In an exclusive interview to Restaurant India, Dev Amritesh, President and CBO, Domino’s India talks about his new role, Domino’s growth in India. What will be your role after moving to Domino’s as you have successfully made Dunkin’ a trusted brand in India? 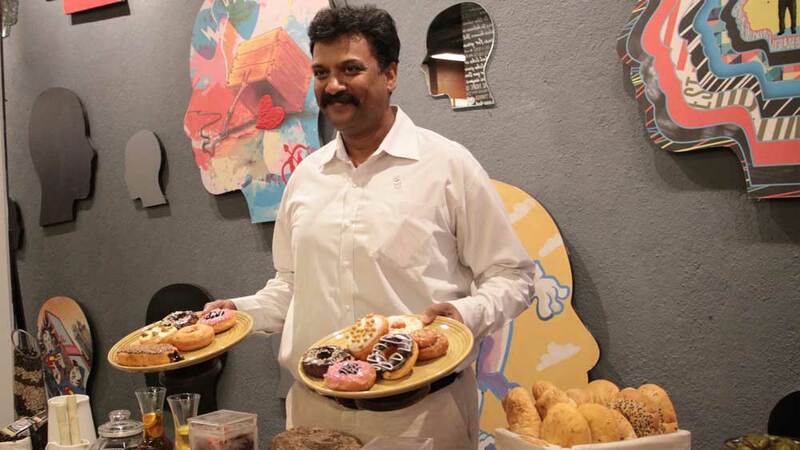 I had started my stint at Jubilant FoodWorks as part of the marketing team for Domino’s Pizza and together we were able to establish a personal connect for the brand among Indians. Various product and pricing innovations had helped Domino’s Pizza attain leadership position in the market. In my second stint at Domino’s, as the Chief Business Officer, my responsibilities will entail looking at each aspect of the business and ensuring holistic growth and expansion of the Domino’s Pizza brand in India. While top line revenue and P&L delivery will be an important aspect, the focus will be on sharpening and making better each part of the business, from marketing to operations and from R&D to investments in people and culture. Today you are one of the major players in pizza market. How do you distinguish yourself from others? We have always had a guest-centric approach to our business. All our initiatives are designed to ensure an enhanced user experience - be it product innovation, pricing, investments in the latest technology or being easily accessible. This approach has helped us establish ourselves as the preferred pizza brand in the country. Our efforts are directed towards creating an emotional connect with consumer, celebrating human relationships and moments. What was the major challenge growing business in India? When we first brought the brand to the country, almost two decades ago, pizza was at a very nascent stage. Establishing the category and bringing pizzas into the consideration was the primary challenge, in addition to operational challenges faced by an upcoming business/ industry. These include shortage of skilled labor, procurement of quality raw material and setting up a robust supply chain. However, our commitment towards creating an enriched guest experience and strategic investments in setting up a robust infrastructure helped us immensely in overcoming the challenges and emerge as the industry leader. What has the experience in India been for you? Back in 1996, Pizza market was simply not there in India. Some local entrepreneurs had tried their hand at making pizzas, but the taste of pizza was far from an “accepted” choice of cuisine for anyone, but the well-travelled westernised youth. We have been part of India’s QSR journey and have, at each critical juncture, stayed focused on the consumers’ needs and desires, offering solutions that they seek. It’s been a great experience in India and we have been able to establish and grow our business in the country amid various challenges, staying committed to spreading happiness and joy across Indian families. Lately, we have seen that global brands are focusing on franchisee model as expansion. Can we see Domino’s entering into the franchise system? All Domino’s Pizza restaurants work on the company owned, company operated model and that model has worked for us as it helps us standardise our operations across the country and offer consistent taste, service and quality across all our restaurants. We have a few franchisee locations as well in selected areas such as airports and so on and we will continue to evaluate the option of franchisee locations in such and other select locations as well. According to you what is the latest trend driving the industry in India? The QSR segment in India is witnessing a lot of interest and activity. This coincides with the growing affluence and aspirations of middle class India. The trend is radically changing the way people eat in India. Key reasons include exposure to western cuisine, the rising number of nuclear families and growth in the number of employed women, which are also having a significant impact on the eating out trends and growth of the fast food industry in the country. What are the five reasons that make Domino’s a trusted leader in pizza in India? Enriching guest experience, innovation, robust infrastructure, a skilled team and constant emotional connect with the consumers have helped us emerge as the market leader in the organised pizza segment. Guest experience is at the core of everything that we do and we have taken various strides in redefining the same, be it for dine-in guests or delivery. Innovation has also been our strength that has helped us to be at the forefront of newer introductions in the Indian QSR industry. Over the years, we have created and moved from strength to strength in terms of having a sound infrastructure in place, that ensures maximum efficiency in business. Our team of specialised chefs works round the clock to develop tastes and variants, keeping in mind consumer trends and desires. In addition, we have invested heavily in retail expansion and technology to increase accessibility. There are many brands in the segment today, how do you overcome the growing competition? As per ASSOCHAM, the Quick Service Restaurants (QSR) sector in India is likely to grow to INR 25,000 crore within 5 years. This reflects the depth of the sector. The low per capita consumption in India presents an opportunity for all players operating in this segment to grow the category and subsequently their business. We also believe that healthy competition helps in raising the industry standards, which results in better offering to the end-user. Going forward, what major can we see at Domino’s? We stay committed to providing consumers with greater choices and making pizzas more accessible. We will continue to invest in R&D, technology and retail expansion and bolster our efforts towards becoming the most loved brand in the country. What is the expansion plan in terms of new cities and outlets? We have been adding about 150 restaurants each year over the past couple of years and will continue to expand in the next financial year as well. We have been entering newer markets, especially tier-2 and tier-3 regions, to popularise the pizza culture and give more Indians a taste of international pizza. "Our focus will be on world curries"..